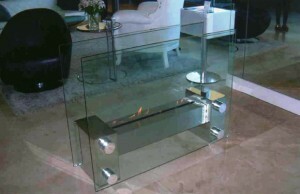 If you have been searching for “Custom Fireplaces Scottsdale” you are most likely looking for a company that can design, fabricate, and install a new fireplace at your home or business. Custom fireplaces provide interest to any space they are installed in and offer an affluent and refined look. 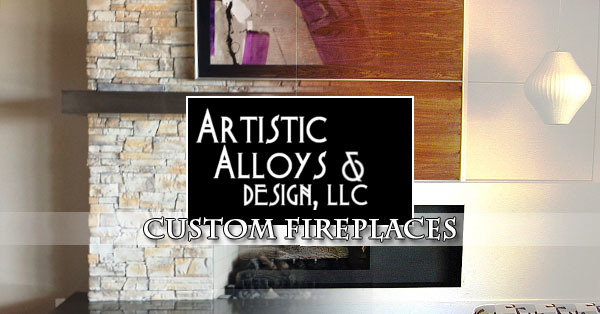 From building an all metal fireplace to just installing individual custom metal elements to your fireplace design, Artistic Alloys is ready to help! Give us a call with any questions you might have at 480-941-2611. Fireplaces are made up from various individual elements that include the hearth, legs, panels, fire box, header, mantel shelf, panel wall, over mantel, and the crown at the top. While each of these contribute to the overall appearance and style of the fireplace many can be eliminated for a one of a kind look. All of them can be made from metal, or just certain elements can be combined with stone to create a stunning custom look that is unique to only your home. This list includes the traditional sections or elements that make up fireplaces. From the newest minimal modern designs to the rich old world style we strive to design, build, and install fireplaces that wow your visitors and add value to your home or business. Each of our designs help tell a story in the rooms they are installed in that can be understated and quiet or bold and imposing. Every home has its own character and a certain style and the fireplace we design should match. This helps continue the same story throughout your home. Some of the designs that people love to install in their Scottsdale homes include traditional, modern, eclectic, cottage, rustic and more. 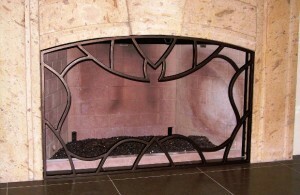 Artistic Alloys master metalworkers have the skills, techniques, and right tools to take your dream to design and fabricate a fireplace that stands out and is totally unique. Traditional – Traditional fireplaces have the full list of elements from crown to hearth. Each of these elements proportional to each other. If you want to have the iconic looking fireplace in your home we can help! Modern – Many homes are going for clean lines and minimalist elements in the home. If the furniture in your home and the architecture has a modern feel and look a modern styled fireplace will add value and fit into the home or business best. Eclectic – For those that love new and totally unique looks the eclectic style includes various style elements, many times from competing design styles. If your home is already filled with one of kind elements and you want your fireplace to also tell its own store, the eclectic style will fit your home best. Cottage – Some homes are built to always include a relaxed feel. With mild traditional styling and conservative lines the cottage style helps create a calm environment. If your home already includes this type of style using certain metal types will help stay within this style and make your home more cozy and inviting. Rustic – The rustic style calls back to early settlers and high mountain cabins. With the right fabrication techniques the elements can be made to look older, weathered, and distressed. The rustic style fits best when your home already includes other cabin like architecture, wall decorations, and furniture. Once a design has been created that you are excited about and you have given approval for our master fabrication team will get to work creating your fireplace elements. Attention to detail, extreme welding quality, and the best raw materials culminate into a fireplace that is beautiful, unique, and durable. The level of design and embellishment is up to each client and can be the deciding factor in setting your fireplace apart with totally custom design. From the old world traditional fireplace look to the ultra modern or minimalism look we can create exactly what you are looking for. Once the elements you have ordered have been custom fabricated our installation expert will carefully transport the item or items to your home and install them. Our installations are designed to last for many years and are only installed using the best hardware and techniques. We build one of kind fireplaces that are designed to last many years. Our installation process is matched to this goal and will help ensure your custom fireplace is properly installed to last, and be safe in your home or business. If you have an idea in mind for your home or business in Scottsdale our design crew can help get it down on paper. We can also help with previous projects that can help with inspiration in creating something that you will love to have in your home for many years to come. We will come to you and talk about the space, the size, the style, and get you a quote to compete the work. At every step of your project customer satisfaction is our focus and we aim to build the longest lasting, custom designed, and beautiful fireplaces in Arizona. To get your job started simply give us a phone call at 480-941-2611.